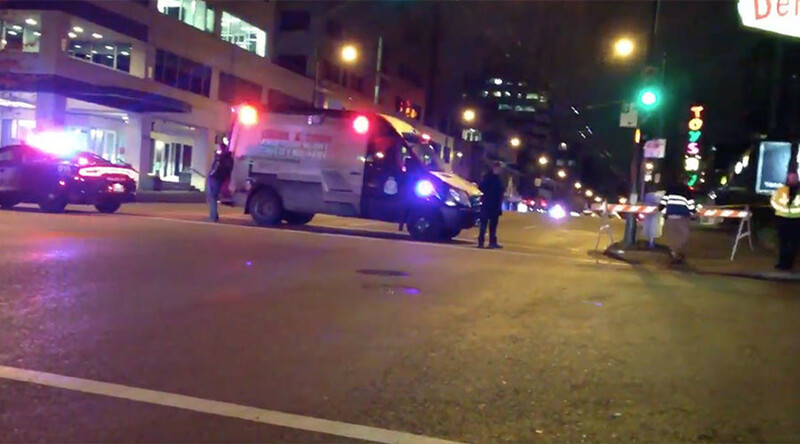 Police closed off a street in Vancouver and deployed a bomb squad after discovering what appeared to be a pressure cooker in the area, local media reported. Sgt. Brian Montague said the item appeared to be a pressure cooker but was not deemed dangerous by the Vancouver Police Department Explosives Disposal Unit after an examination and x-ray of the item, local news outlet CKNW reported. The cooker was determined to be empty and posed no risk to the public. Police are currently working to determine who left the pressure cooker on the street, and why. #BREAKING: VPD confirms they've found what appears to be a pressure cooker near W Broadway and Alder St. Bomb squad on scene, area closed. Discovery of the item led to the 1200 block of West Broadway being closed and evacuated, according to CBC reporter Tanya Fletcher. Footage posted online showed police vehicles blocking the street while barricades were erected. The street was later re-opened, according to local media reports.